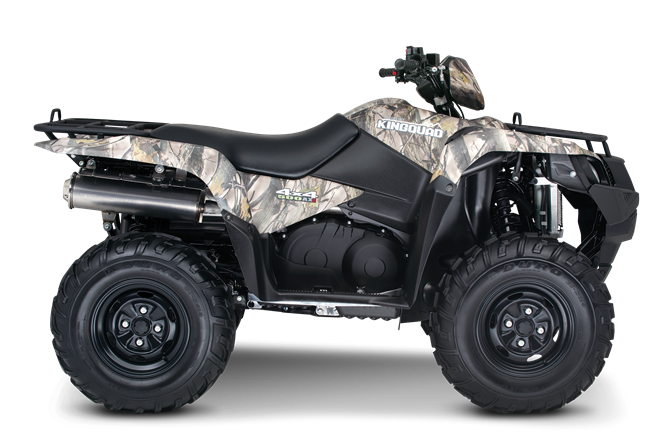 The 2017 Suzuki KingQuad 500AXi Power Steering boasts the same advanced technology as the extraordinary KingQuad 750AXi. It’s engineered to help you tackle tough trails and tougher jobs. Its innovative, electronic power steering system reduces turning effort and damps vibration to the rider. The 500AXi Power Steering power plant features a precise Suzuki fuel injection system and twin iridium spark plugs ensure easy starting, excellent throttle response, great fuel efficiency, and reduced emissions. 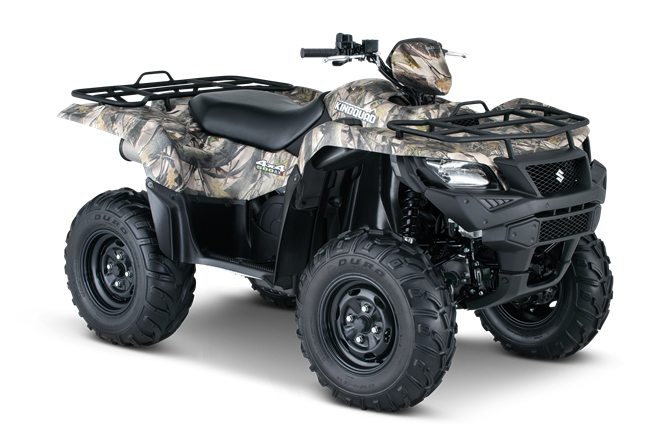 The advanced chassis lets you float over rough obstacles with ease while still being able to haul or tow what you need to get the job done.For the true outdoor enthusiasts, the 500AXi Power Steering is offered in True Timber camouflage to help you blend in when you don’t want to be seen.